At Hot Spring Spas, we don’t just want people to purchase our products — we want them to discover all the benefits of being part of the Hot Spring Spas family. Everything we do is based on creating a hot tub ownership experience that is unmatched in the industry. We aim to provide you and your CITY backyard with The Absolute Best Hot Tub Ownership Experience. Whether it’s innovating hot tub jets that enhance hydromassage, producing energy-efficient hot tubs or improving water care solutions, our focus is always on making your experience better. 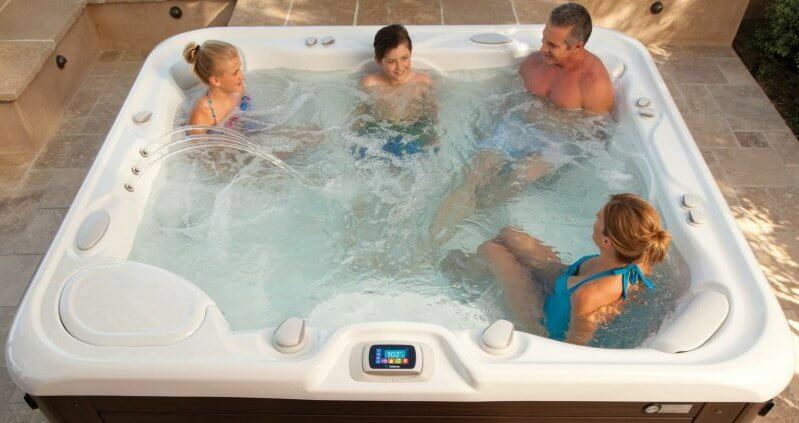 Click on the links below to view more information on each hot tub model. Blank Canvas Approach. The Hot Spring and the Designworks teams redefined the spa experience with a completely fresh perspective. Style and Function. It has to look and work beautifully. We meticulously refined and enhanced both form and function. Distinctly Yours. The spa you’ve waited for: easy to use, energy efficient and beautifully designed for an unparalleled experience.